Mazda Canada is implementing a new Image Program for all existing Mazda Dealerships. The Image Program consists of the installation of a vertical element that is used to enhance the car buying experience for their clientele. This vertical element is commonly referred to as a Performance Wall. The Performance wall is situated at the exterior of the main entry to KMM and appears to penetrate the building envelope in an effort to provide a way finding element that will serve dual purposes. 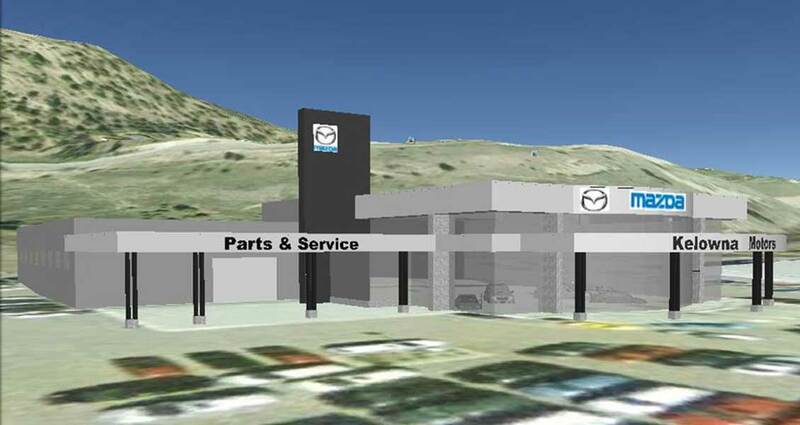 The first goal is to create a stronger entity with other Mazda dealerships throughout Canada and to act as a landmark element for the facility. 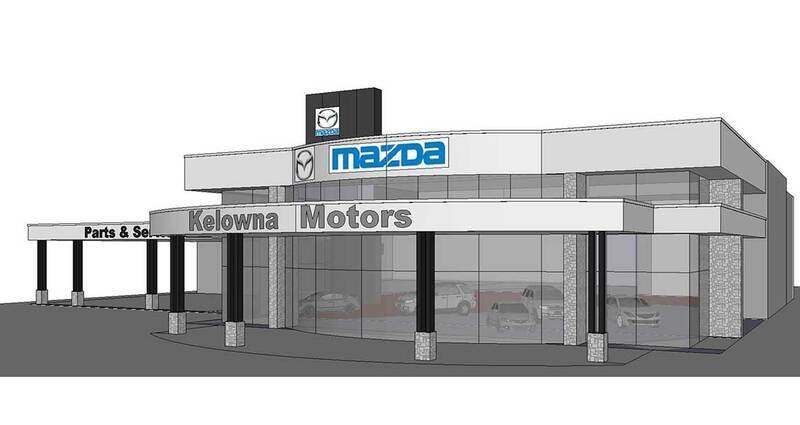 The second purpose is to welcome perspective customers to the site, lead them into the facility and provide a positive experience for first and long time customers at Kelowna Motors for Mazda.